Storing gasoline can be a challenge. You do not want to spend time making trips to your nearest refill station, risking possible interruptions to your workflow in the process. However, storing your gasoline is risky. It could be contaminated and become unusable or may be dangerous if not stored properly. Many people store their gasoline in sturdy plastic or metal containers. Is this the best way to store your gasoline> how long will gasoline last in a plastic container? Here’s a guide about how to handle and store your gasoline. Will the gasoline go bad? If you leave out your gasoline for too long, it will go bad. Even though it has a long lifespan, ranging between months and years depending on the gasoline products, it may succumb to environmental and storage factors, which will cause it to go bad. Your gasoline can go bad if you expose it to oxygen, humidity, heat and other contaminants such as dust. Gasoline is a hydrocarbon mixture, which is very energy rich. When undergoing refining, impurities such as sulfur are removed, while other compounds are added to help achieve the oil’s desired octane level and number. The final gasoline product is a carefully chemically calibrated compound, which will deteriorate over time. As time passes, the lighter hydrocarbons will evaporate from the gasoline, affecting its volatility and effectiveness. Gasoline will be weaker if stored out over time. It may also be calibrated differently depending on the time of use. 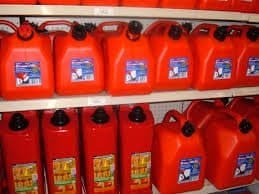 If you store gasoline for later use, you could have an incompatible product with your weather conditions. How long will gasoline last? Gasoline can damage your fuel system’s components if it loses its engine-igniting ability. You need to check your stored gasoline for compatibility with manufacturer specifications regarding storage times since the use of past due fluid could void the warranty. However, some stored gasoline can be good. You could save on gasoline expenses by knowing how to tell apart viable and bad gasoline. Gasoline can last up to half a year if stored in an airtight, clean plastic container. It also works just as well with a metal tank. For complete protection and safety, you may be required to label your gasoline containers. 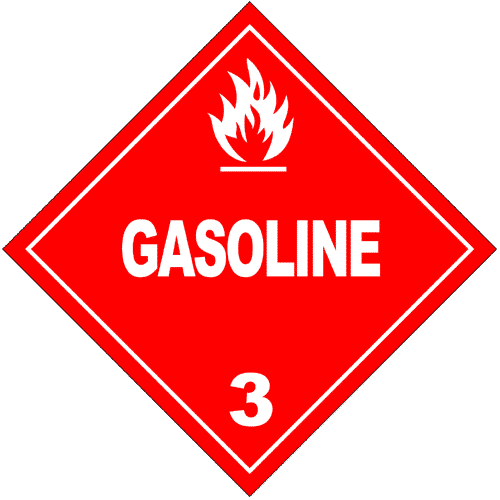 Gasoline may still lose its combustibility and degrade over time as it oxidates and loses some of its volatility, it may last between three and six months. A small container is preferred, as this will reduce the surface area of exposure to air, which will help preserve your gasoline. You should store your gasoline away from any heat or ignition sources, but must be wary of the use of any fuel stabilizers as these can increase or decrease the lifespan of your stored fuel. Ethanol-blended gasoline has the shortest lifespan of any gasoline products. This fuel, which is popular in the US and sold under the E10, E20, e15 and E85 branding, is made up of up to 10% ethyl alcohol, which degrades very quickly. It should be viable only within three months of packaging. Pure gasoline will last for about six months. It will still experience evaporation and oxidation but will do so at a lower rate than gasoline infused with ethyl alcohol. It will also be better protected from moisture contamination because it does not absorb humidity or evaporated water. this will also reduce any fuel separation problems as well. Fuel stabilizers increase the lifespan of your fuel. These petroleum-based additives allow your gasoline to last between one and three years. They will extend the shelf life of your gas by slowing down the evaporation and oxidation of your gasoline and its volatile compounds. For best results, experts recommend that you mix these stabilizers into new gasoline. They are very ineffective when used with old gas, and will not help restore any contaminated gas to a functioning state. Can you use old gas? You should do a spot check for any stored gasoline before using it in your engine. You can assess the state of your stored gasoline by doing aside by side comparison of a small sample of the stored gasoline and a new batch of the same. You can do this by pouring the stored oil in a clear glass container and comparing it with a new batch. Contaminated gasoline will usually result in separated gasoline and ethanol layers. Gasoline without any ethanol infusion will generally appear significantly more discolored or contain sludge and visible sediments. This will usually be a result of contamination by the environment of storage, moisture, or through the by-products of oxidation. Contaminated gasoline will cause corrosion of your engine’s components, and may cause sludge or varnish deposits to develop in your unit, which may be responsible for blockage and reduced function. It will wear out your engine quickly and must be disposed of immediately. Even though contaminated gasoline is not functional in your engine, it can still catch fire easily and may cause explosions if stored improperly. You can use old gas if you refresh it with new gasoline. This is not viable for contaminated gasoline because it will retain the high contaminant level even when refreshed with new gasoline. Even though old gas may be refreshed, it will have a lower combustibility level than standard new gasoline. You may experience regular engine sputtering and starting problems. For best function, you should have at least the same amount of old gasoline as new. You should never dispose of gasoline in drains, lakes, streams, trash cans or bags, or on the ground. Even when contaminated, it is a highly flammable substance that can be ignited with a spark. It could also contaminate water sources by seeping into your supply. You should contact your city’s waste management system to find approved disposal sites. When traveling, carry your gasoline in an airtight and sealed container to prevent any leaks and possible fires. Dispose on the site, and wash out your container before any future use to avoid contamination.